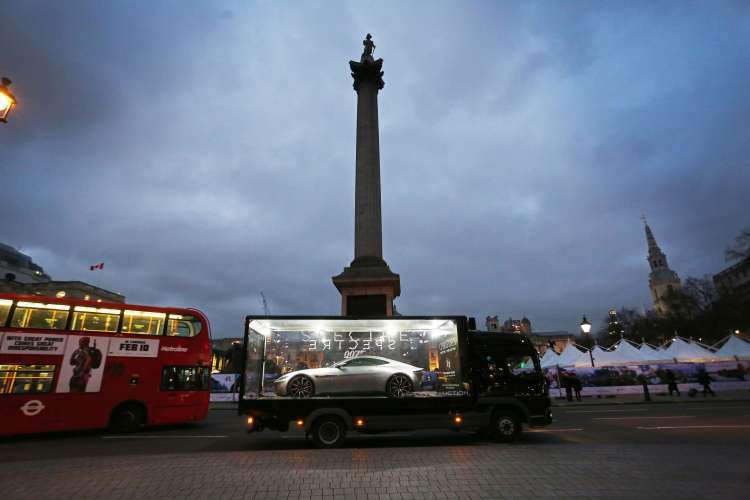 “Twentieth Century Fox Home Entertainment, MGM Studios, EON Productions and Christie’s present a unique way to get close to the costumes, props and stunning Aston Martin DB10 from Spectre starting today. Ahead of a live auction on Thursday 18th February at Christie’s in London, fifteen items straight from the set of Spectre is touring the length of the country from today in two eye-catching glass displays to mark the release of Spectre on Digital HD on 19th February and Blu-ray and DVD on 22nd February. The DB10, one of ten designed and engineered by Aston Martin exclusively for Spectre, is accompanied by 14 authentic props and costumes from the film on a 1,000 mile round trip of the UK. They are being displayed in a walk-in exhibition for at public locations in Glasgow (today), Manchester, Birmingham and Cardiff, giving fans the chance to get close to the items and browse James Bond Spectre – The Auction on interactive screens. Travelling costumes will include Bond’s iconic white dinner jacket, the suit worn by Christoph Waltz’s villain Oberhauser in the Moroccan scenes and masks worn in the opening Day of the Dead sequence. Further highlights include an Omega Seamaster 300 watch and ‘JB’ initialled Tom Ford cufflinks worn by Daniel Craig. Fans also have the chance to get close to memorable props including metallic nails worn by henchman Hinx (Dave Bautista), the laptop used by Ben Whishaw’s ‘Q’, a set of martini glasses and shaker and a clapper board used during the production. One item, a stunt cane with a rubber skull head doubled for the real cane used by Daniel Craig in the thrilling Day of the Dead opening sequence, will even be available in a ‘tweet to win’ competition. Spectre is available on Digital HD™ on 19th February, Blu-ray™ & DVD on 22nd February from Twentieth Century Fox Home Entertainment, Metro-Goldwyn-Mayer Studios and EON Productions.